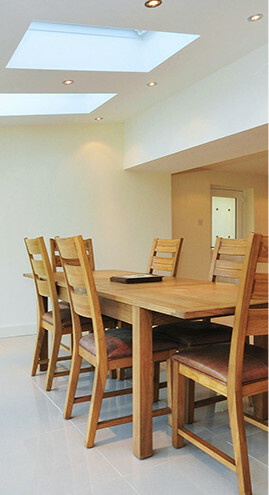 Barlow Construction & Renovation Ltd has been a family run business since 1985, specialising in new builds, house renovations, extensions & repairs. The business has grown over the years and we also now work closely with a blue chip company providing refurbishments, reactive repairs, and complete new builds. We also provide services to the national trust and a national pub letting agent, we are approved contractors for listed buildings repairs and renovations. Ian Barlow is the director of the company and has seen the company grow over recent years. 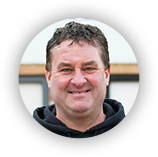 Ian first started in the construction industry as a joiner himself and then up-skilled in each trade to ensure he could oversee every aspect of the construction industry. 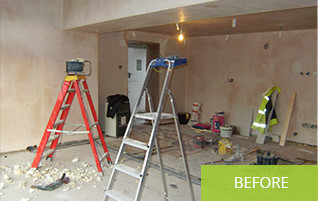 We provide services which include small repairs to complete new builds and renovations. Nothing can ever be too small or too big for Ian and his team. We are here to help you with the minimal disruption to you, our customer. 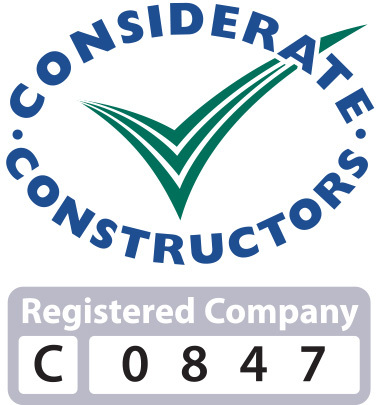 Barlow Construction are currently registered with various trade bodies including CHAS, CSS, Achilles, NHBC, Construction line, FMB, Altius & the Safe Trader Scheme. If you would like more information on these trading bodies, please get in touch. 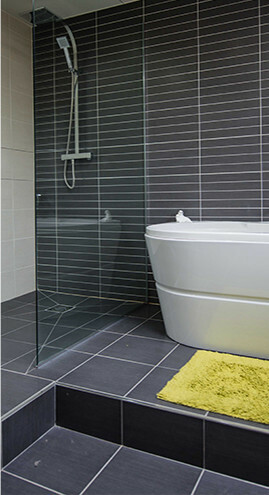 By combining our vast experience with our knowledge of modern building practices we are confident we can provide the best solution to your construction requirements. 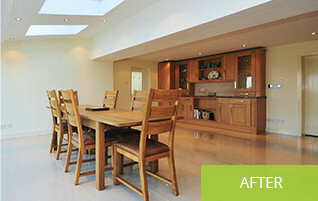 We extended the house into the garden, creating a huge space for a new dining area. We added windows into the ceiling and patio doors to let lots of light in, creating a nice environment to dine in. For this project we completed the development of the basement under the clients house. 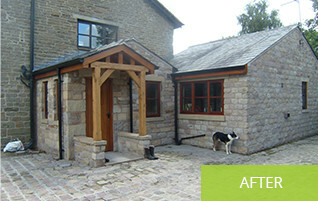 We also added a stone porch making sure it blended in with the original building. We recognise that selecting the correct builder is not an easy task. 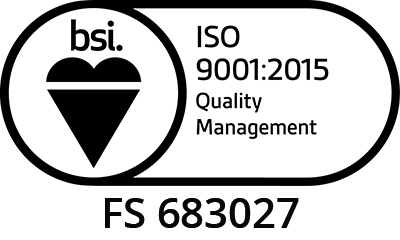 We aim to make this process simpler for you by providing a free consultation, within which we will utilise our knowledge and expertise to give you impartial advise as to how you can achieve the best solution. Don't just take our work for it, see what our clients have to say. Ian is straight talking, direct with a strong business focus and able to achieve results in dificult circumstances. Ian is able to marry commercial awareness with a strong technical focus and this ability to combine them seperated him from his peers within the industry. In addition to this Ian is able to motivate his teams to great effect and I would have no hesitation in reccomended him to grow his progressive business. Ian's "can do" approach and responsiveness to short notice requests, means that you can rely on him always being these, to both support you and your clients, with sensible ideas and detailed advice. Over the years we have had a good deal of work on our house but nothing has approached the quality of what you and your team have delivered. From our initial meeting you were clear about what needed to be done and helpful throughout, even providing us with a list of possible price options. The quotation arrived within days, and from the time we agreed you should do the work, the communication has been first rate. I have personally recommended Ian and his team on a number of occasions over the recent years to various clients in the local area and they have had nothing but praise for his team as well. I don’t think I have actually found a better contractor than Barlow’s since setting my business up and that’s based on around 350 projects and at least 50 contractors to date. I recommend Barlow’s because they have a professional but personable approach, they are an established company with an excellent track record and the quality of work is also excellent. 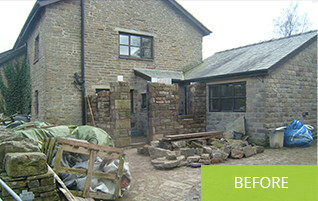 Barlow Construction are currently undertaking a major renovation of our property, a stone cottage dating back to the 1840's. The work involves a single storey extension to the rear, a first floor extension to the side, re-roofing, re-pointing, new windows, patio area, drive and internal alterations involving new utility room, new kitchen, refurbished shower room, new ceilings and new staircase. When we were planning our extension last year we had a number of builders provide quotes.Ian was by far the most grounded and realistic builder that came back to us. The build started on time and the lads worked from day one. The builders were punctual in the morning and left a tidy site by the end of the day. Myself and my wife work shifts and there were never any issues with leaving a key with one of the lads.The quality of the final build was excellent and i would recommend Ian and his team to anyone considering an extension. I would like to highlight the exceptional work carried by Ian Barlow Construction on the renovation work carried out at St Paul Close. 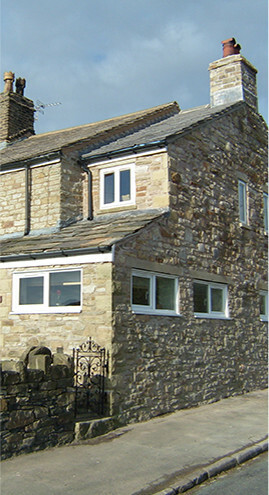 The work involved fitting new windows and doors and fitting a new kitchen and bathroom. The organisation of all aspect of the project was carried out expertly and conveniently by Ian Barlow himself, giving you the assurance at all times as and when work was to be done. This invaluable service givrs you the freedom to concentrate on your commitments. The professioalism and attitude of the workmen was outstanding. Barlow Construction have just completed quite a large project for me that has taken a few months! They have done the most amazing job and I have been awestruck at the skill, care & professionalism they have shown. The standard of work is superb and the care and consideration the workmen have shown has been amazing. The job involved demolition, plumbing, plastering, joinery & electrical work then the fitting of our new kitchen. Each trade worked with the others and the project moved forward seamlessly. Barlow’s may not be the cheapest firm, but as they say, you get what you pay for and I got perfection!